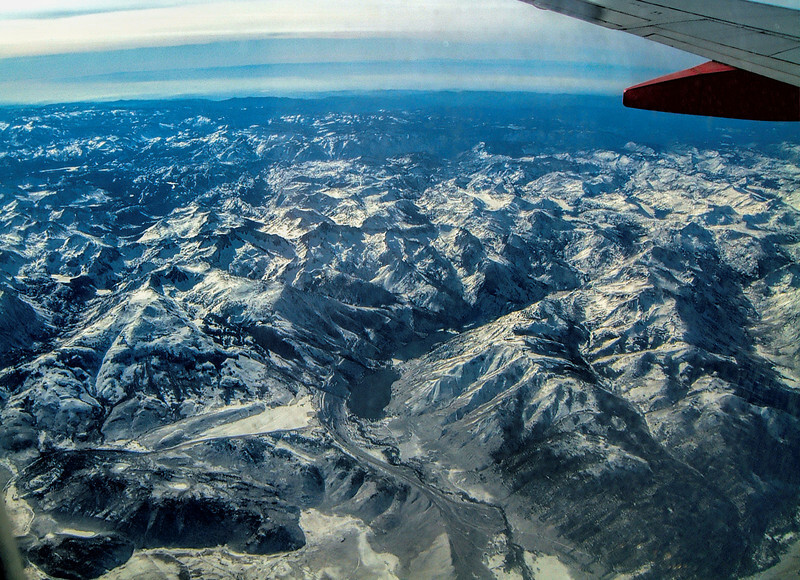 I used to travel by plane fairly often. 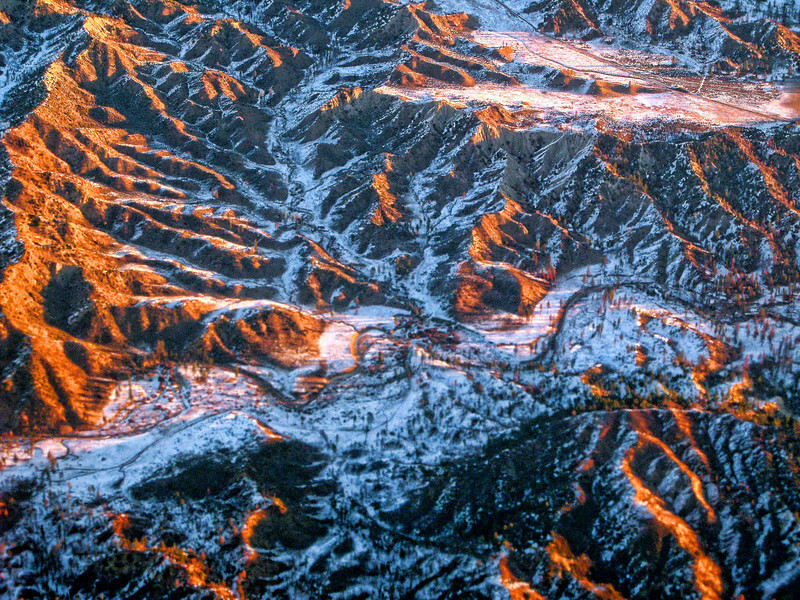 I always selected the window seat. 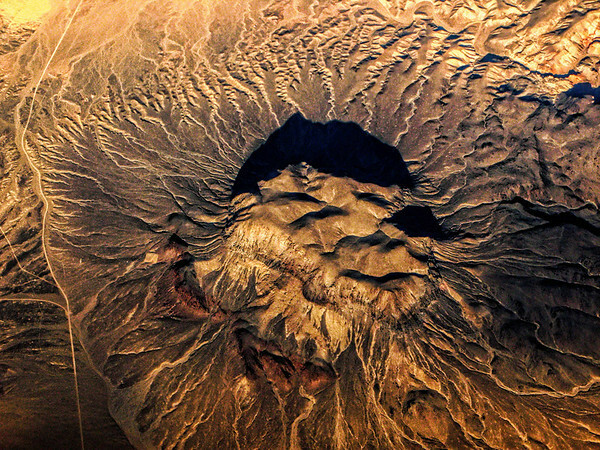 There existed an transcendant view of our planet that simply transformed my flat-world perspective into a three dimensional wonder. 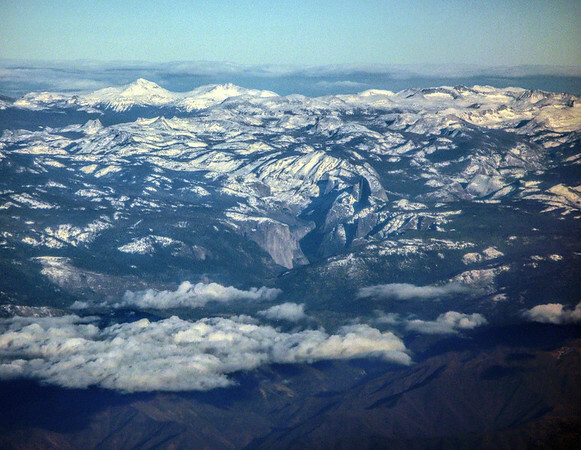 While the movie-de-jour played on, the window seat filled me with awe. 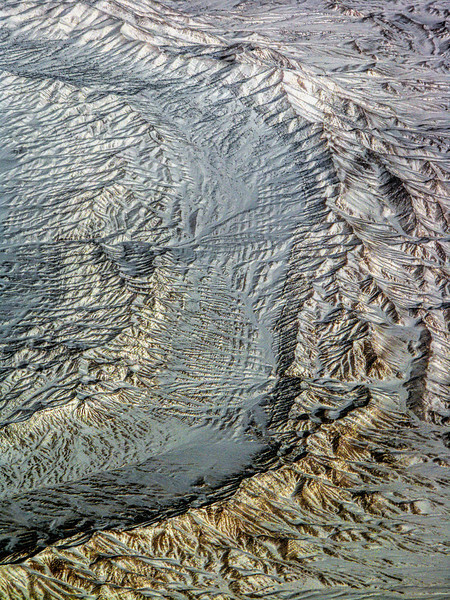 The planet below astonished with its majesty. 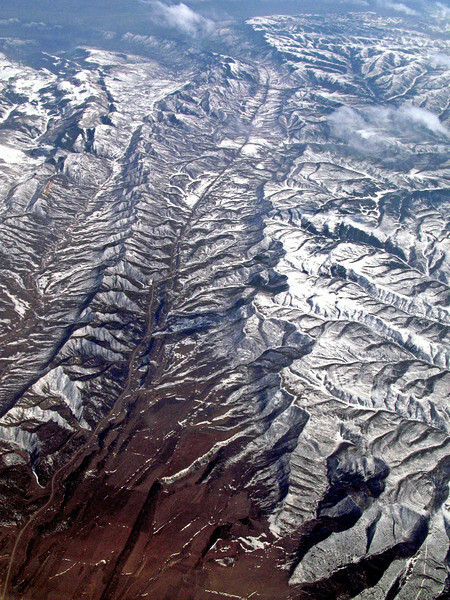 From 35,000 feet the Rocky Mountain watershed mirrored the veins of a tree leaf – macro to micro. 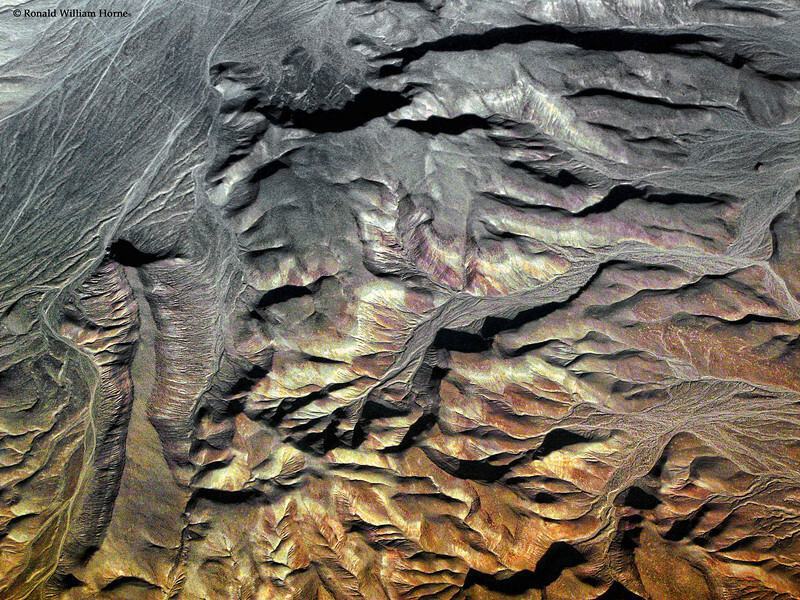 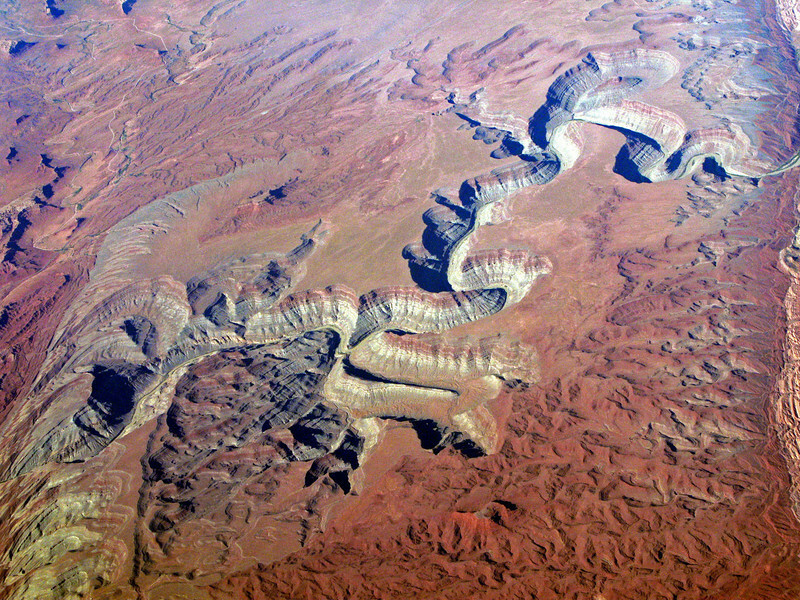 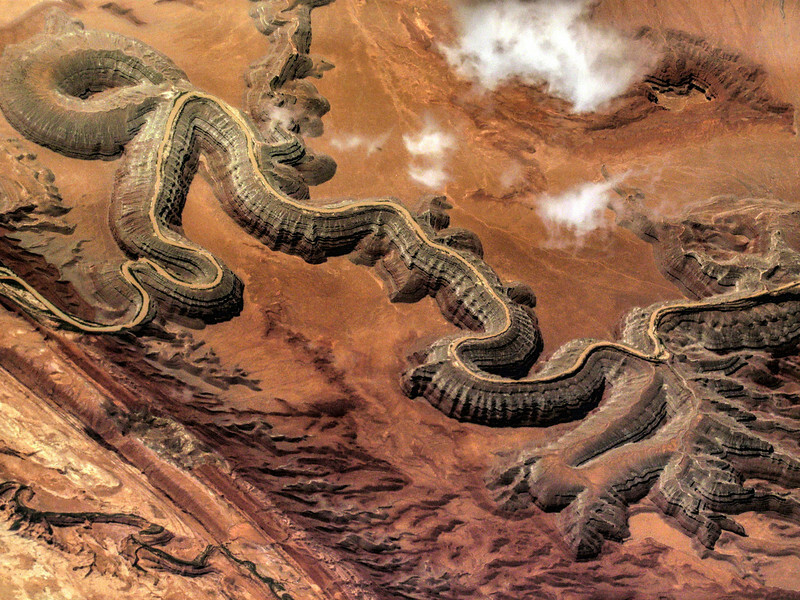 The Grand Canyon appeared as a snake-like optical illusion – concave seemingly convex. 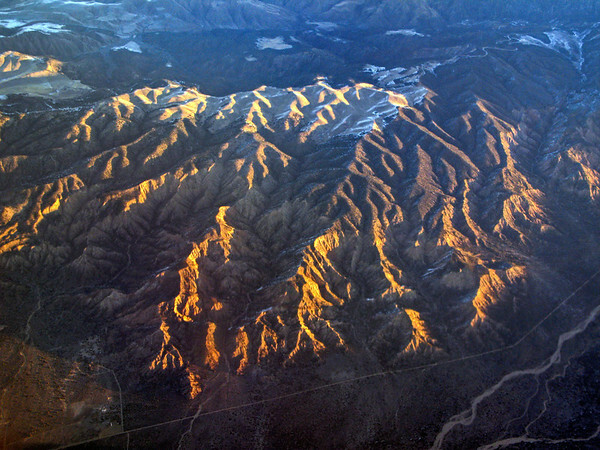 Nature’s three dimensional patterns, limitless palette of color and immense scale put me in my place – one of amazement and veneration – all from seat 24A. 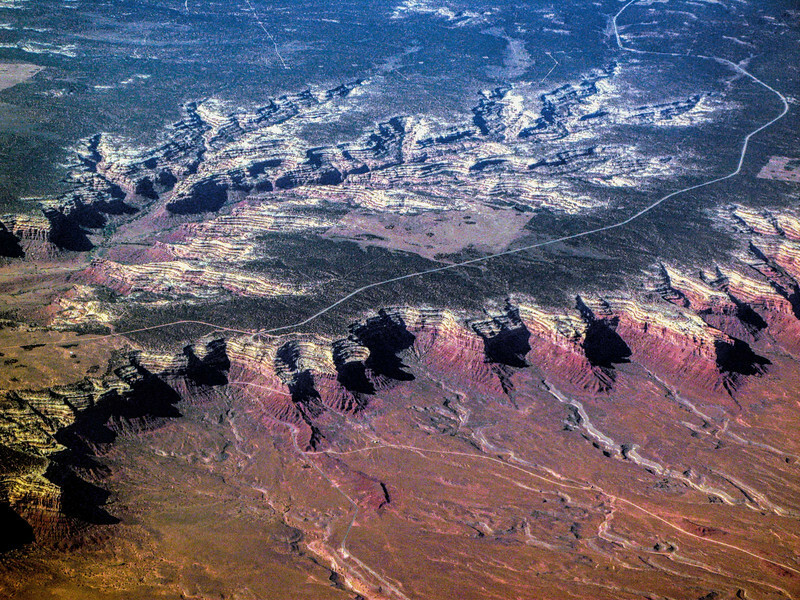 These photos were taken with a simple point-and-shoot camera. 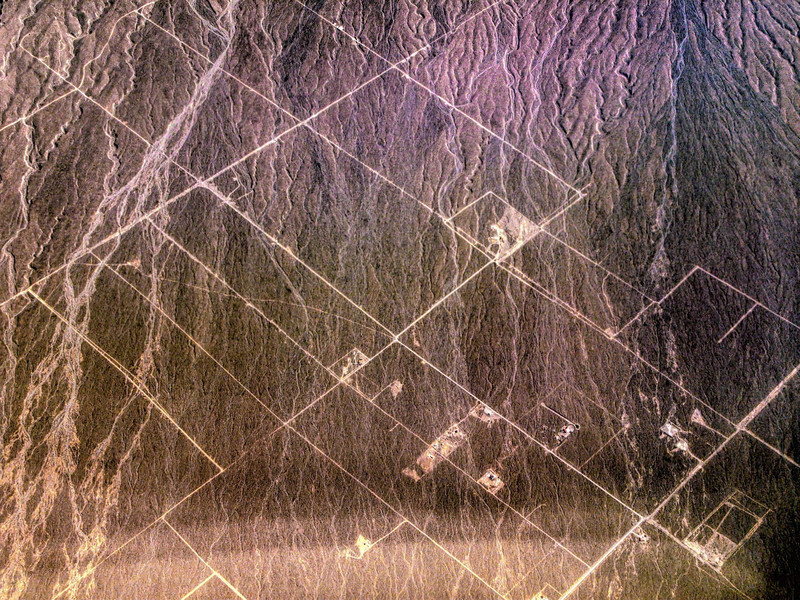 If the window is clean and the skies cooperate you can capture similar photos of our orbiting sphere from the pilot’s premier perspective. 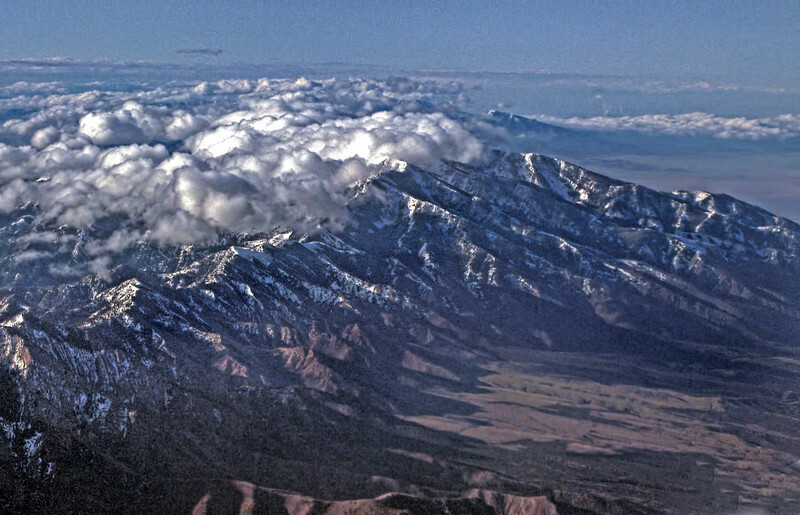 And the flight will be over before you know it but remembered for a long time to come. 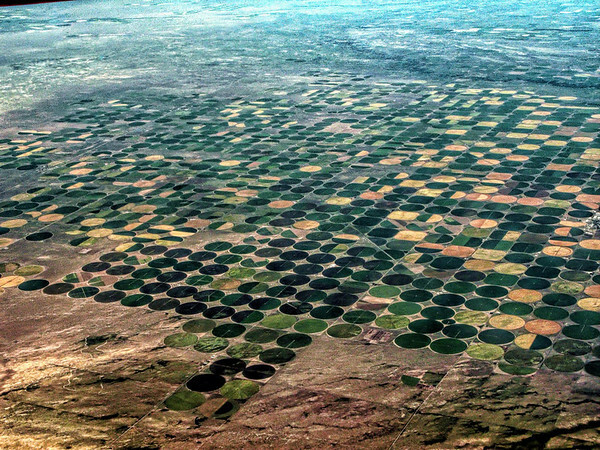 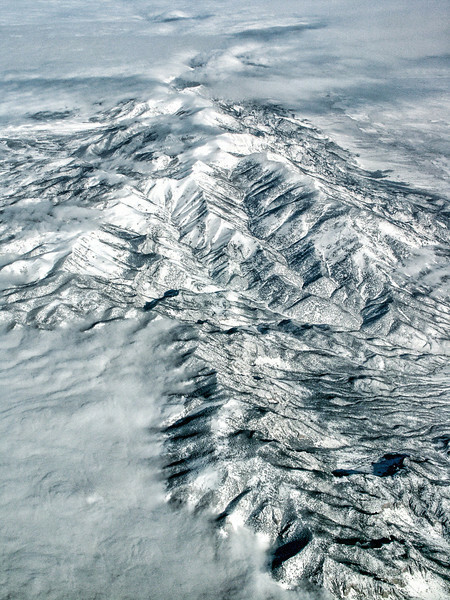 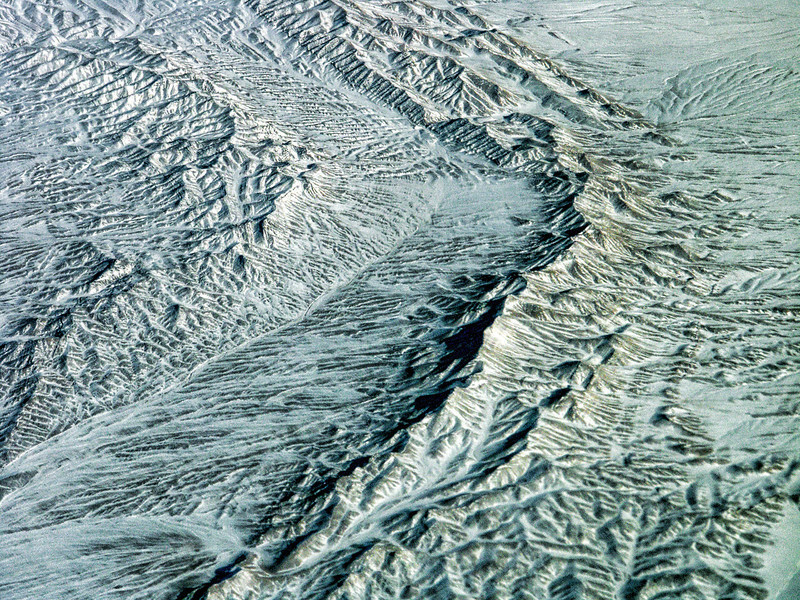 Window Seat Folder - Above the Rocky Mountains near Denver, CO - This is one of many photos from Ron's 'Window Seat' gallery which reveal the Intriguing patterns the earth offers from 35,000 feet altitudes. Natural History - Window Seat View Folder: you can see the road following the river with all its leading tributaries as you approach Denver. 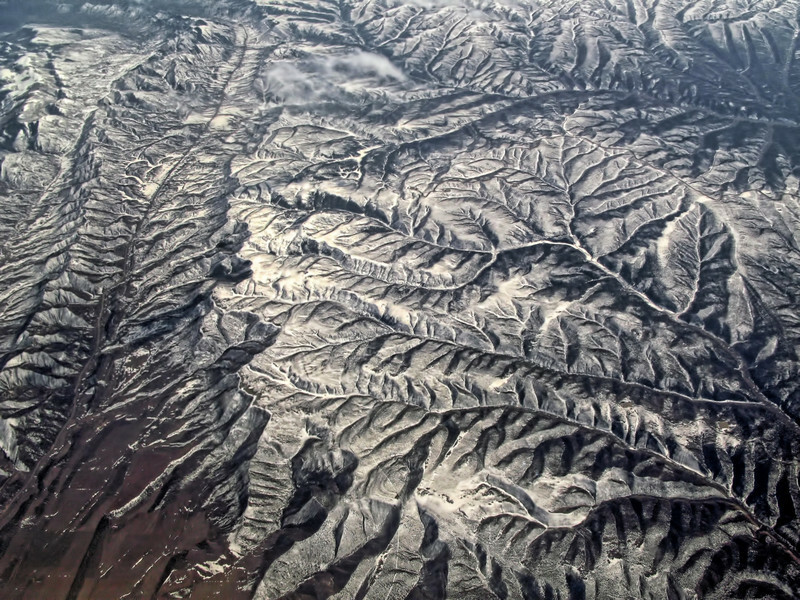 From the Window Seat you can observe how the deep river canyons and mountain ranges thousands of feet hight create leaflike patterns on an enormous scale. 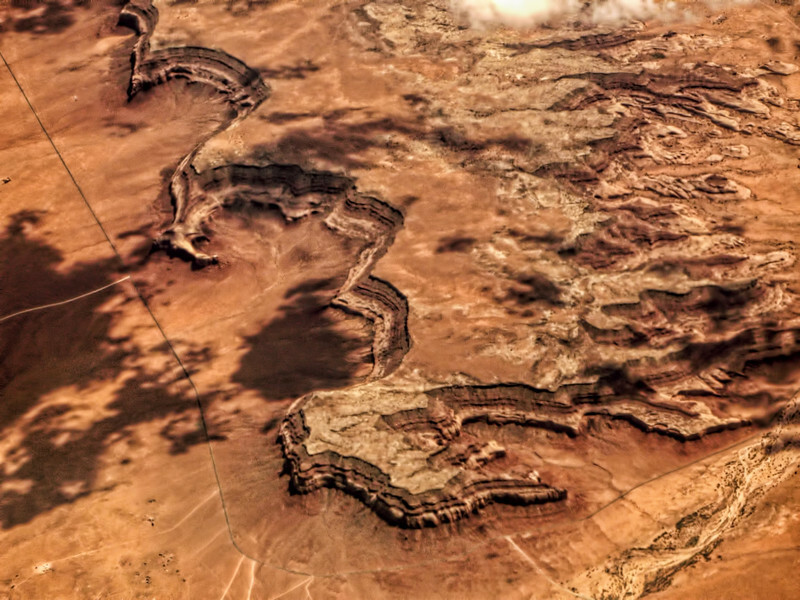 Natural History - Window Seat View: the brain and the eye have trouble working together to understand what's a canyon and what's a mountain as convex and concave work themselves through our synapses with considerable consternation. 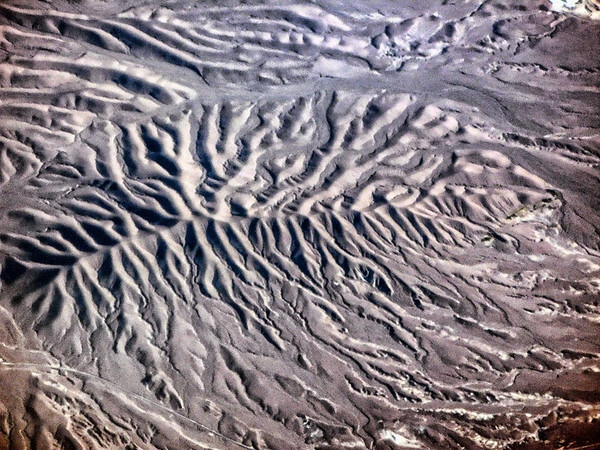 Natural History - Window Seat View - central Nevada may be as dry as Mars but rare flowing water still creates the dominate formations in the landscape. 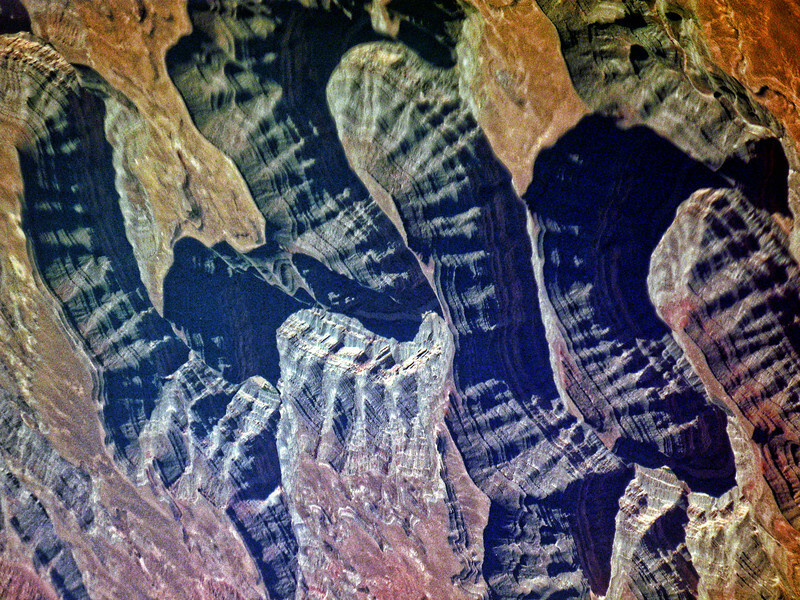 Ron's Window Seat reveals many beautiful natural patterns in the earth's three dimensional canvas and limitless color palete.